Buy local and support a small independent business like us. Small Business Saturday UK highlights small business success and encourages consumers to shop local and support small business in their communities. Originally launched in the US in 2010 Small Business Saturday was scheduled to come a week after two of the biggest shopping days – Black Friday and Cyber Monday. Small businesses are important to the economic and social fabric of our society, and all of you play a part in small businesses surviving. We like our customers to feel happy and relaxed. We will bend over backwards for every single customer because you all matter to us. 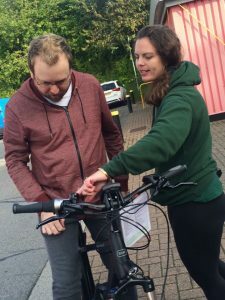 We spend as long as is needed with each customer, tailoring our service to suit you, so you can rest assured you will purchase the right ebike to fit in with your lifestyle and needs. We really do care about each and every one of our customers. We’re independent and have chosen our suppliers carefully to bring you the best selection of quality ebikes. We’re family run and will treat you as we would expect to be treated. We also offer the very best after sales service, so you can leave the showroom confident, we will always be here to support you and your ebike. We are able to be flexible to our customers’ needs. We respond to feedback and suggestions and can easily implement new products or services. 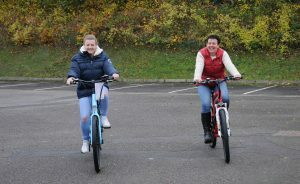 We are Basingstoke’s only specialist electric bike sales, service and test riding centre, as well as the only Bosch accredited ebike experts in the area. This year we are celebrating small business Saturday by doing free test rides. 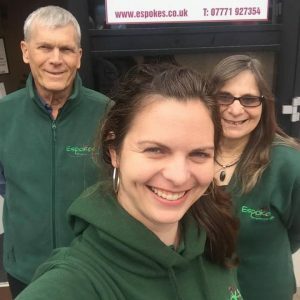 We would urge you to help us save our economy by buying local and invite you to our Basingstoke showroom where you can browse our range of electric bikes and accessories; talk to experts who will be on hand to answer any ebike related questions and take you for your free test ride.